The Blonde Bombshell in Miniature! Please Select...Dull Black Glossy Black Brown Leather Look Gray No Thanks, I'll paint them myself. Wigging, Outfit Patterns, and Accessories sold separately. Beautifully sculpted elegant female. This 1/12 scale resin kit is very versatile. 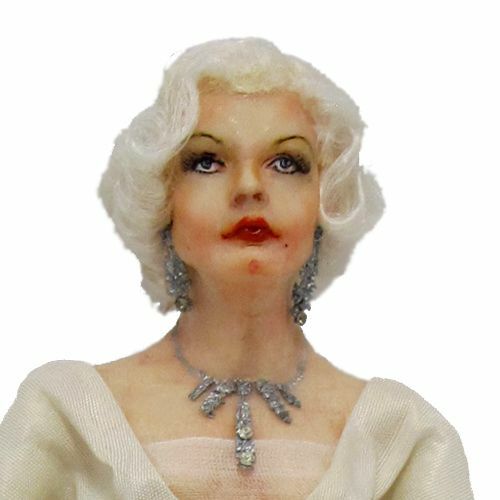 She comes with highly detailed shoes of your choice and expressively posed hands. Same lovely kit as our Georgina painted in a more dramatic palette. The Colvin Studio resin kits are cast in high quality, flesh colored resin which captures all the detail of the original sculpt by doll artist Sherri Colvin. 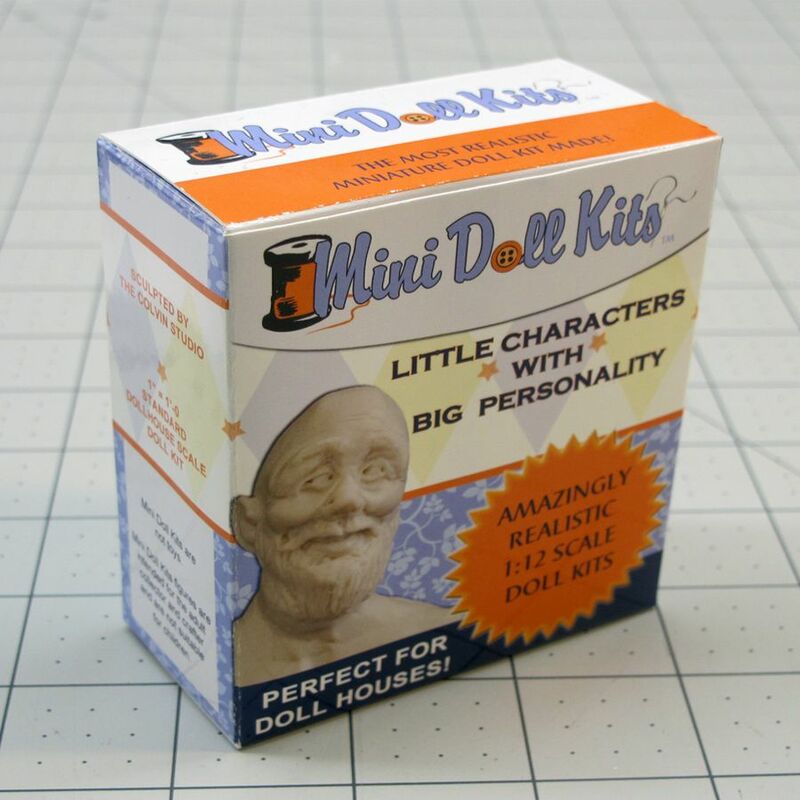 Mini Doll Kits are cast and hand tooled entirely by the artist. 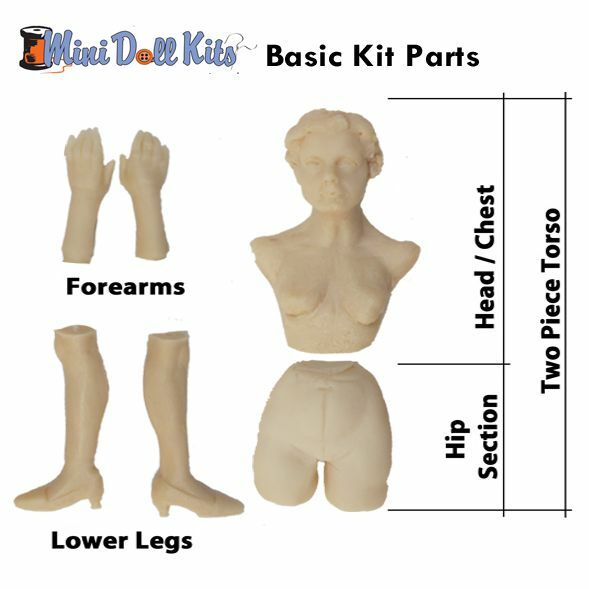 Please allow 7 business days for your unpainted kit to be cast and shipped &14 business days for your painted kit to be shipped. All kits are pre-drilled for easy assembly. 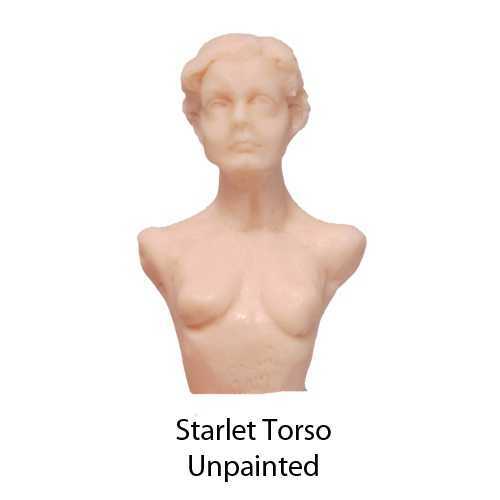 Delivered unpainted or painted by the artist. Shoe color for Painted as Pictured option is dull black unless noted otherwise. 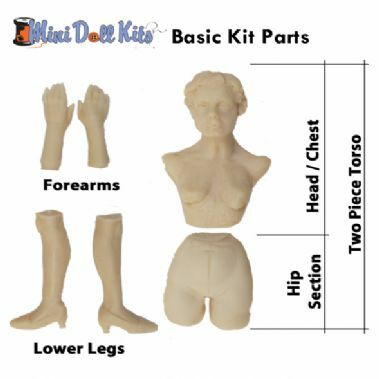 Our Assembled Option includes wiring the kit with chenille covered pipe cleaner style wire and padding upper arms, thighs and waist with adhesively applied yarn.